This weekly show focuses on modern square dancing, and is hosted by Dayle Hodge and Barb Jarvis. They describe their mission thus: "The Square Dance Radio Network provides entertaining and educational audio programming to promote and maintain the square dance activity. We offer programming of common interest and general support to dancers, callers, and potential dancers." A link at the bottom of their home page provides a listing of recent programs of their DoSaDo Show, which contain extensive conversations with MWSD callers. 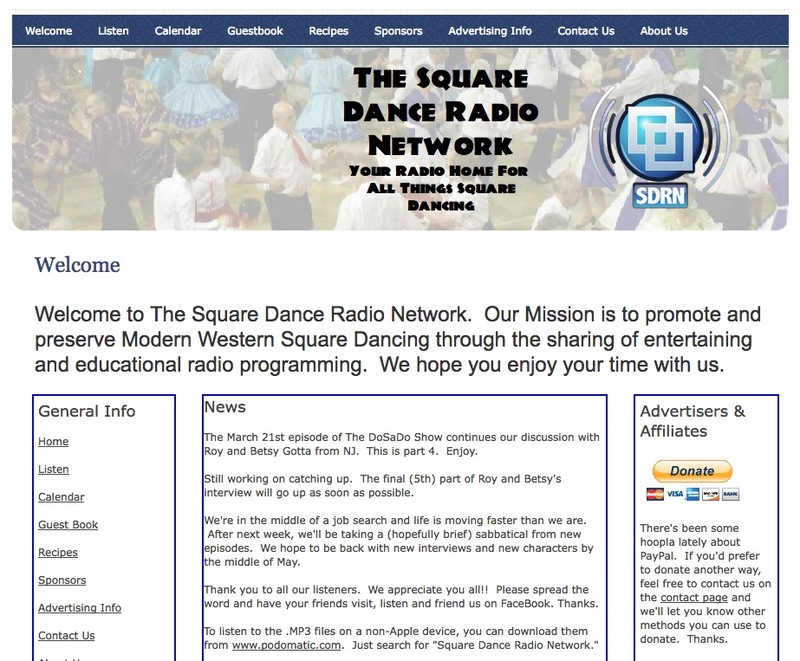 Dayle Hodge & Barb Jarvis, “Square Dance Radio Network,” Square Dance History Project, accessed April 26, 2019, http://squaredancehistory.org/items/show/356. 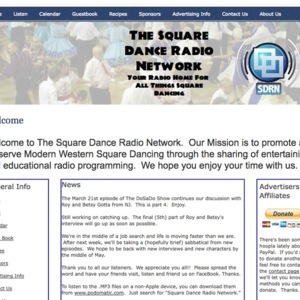 "Your Radio Home for All Things Square Dancing"